April is Distracted Driving Awareness Month. The videos below prepared by The National Safety Council contain material designed with our younger drivers in mind. Thousands have died in car crashes involving cell phone use. New technology allows us to make phone calls, dictate texts or emails and update social media while driving. These are all actions that are proven to increase crash risk. The National Safety Council observes April as Distracted Driving Awareness Month to draw attention to this epidemic. NSC wants to empower you to put safety first and Take Back Your Drive. The Sacred Heart Auto League has been making the roads safer for more than 60 years. The Auto League promotes devotion to the Sacred Heart as a way to encourage prayerful careful driving on our nation’s streets and highways. 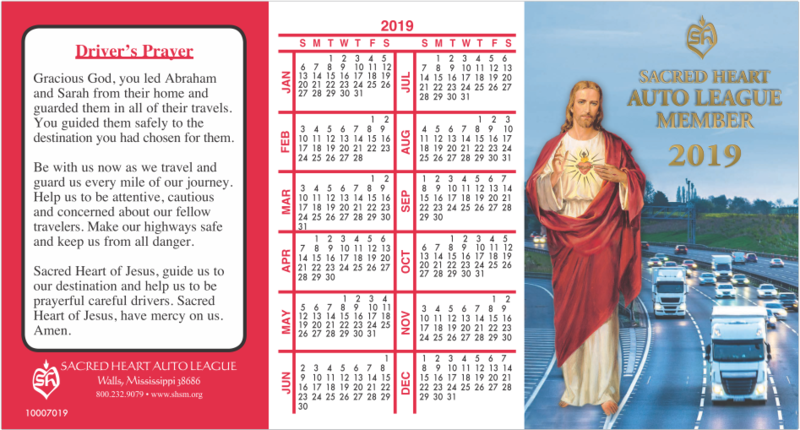 Auto League members are given images of the Sacred Heart of Jesus to display in a place of honor within their vehicles. Members strive to make the ordinary, routine activity of travel to work, to Church, to the store, etc. an act of love for God. Members strive to make travel “holy” by doing it in a spirit of love, being mindful of others on the highway. Members of the Sacred Heart Auto League share in the daily Mass and prayers offered for all League members, living and deceased. Members are asked to pray for the needs of each other. 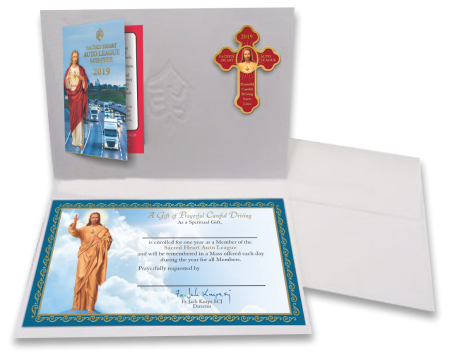 Request Sacred Heart Auto League Membership Kit for yourself and your loved ones. Are you or your loved ones traveling soon? 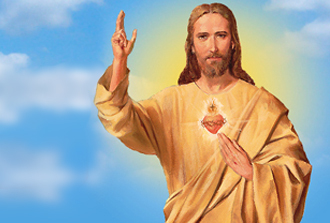 Enroll drivers' names in the Sacred Heart Auto League so that we can pray all those behind the wheel will drive prayerfully and carefully so that each precious passenger arrives safely at journey’s end.